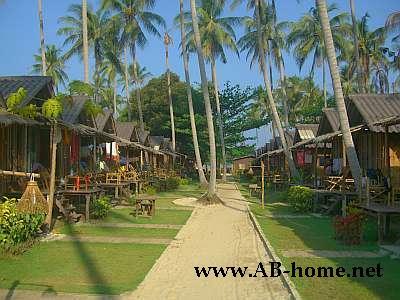 The Siam Cottage Bangalows are the right choice for backpackers and travelers in Kai Bae Beach on Koh Chang island. All simple Bungalows from this guest house in Thailand have a own bathroom. You have the choice between fan and air-condition. The rooms with fan are of course cheaper. The Restaurant of Siam Cottage Accommodation serve Thai- Western food and fresh fruit shakes for a fair price direct on the beach of Koh Chang. From the balcony you have a good view to the small islands like Koh Yuak in the bay of Kai Bae. The sea here is about 29C warm and invite for swimming and snorkeling. I was middle 2008 here in this accommodation on Koh Chang in the Gulf of Thailand. I paid 300 Thai Baht for a easy Hut with fan and a own Bathroom with toilet. 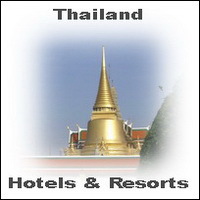 Siam Cottage is a good adress for people who looking for a guesthouse with style. Here you can enjoy your holiday while you chill in your hangmate and read your Lonely Planet travel guide under coconut palms. Great post, I am a big travel fan and my favorite places to stay are in cabins, cottage alike. keep up the great blogging.